List screen. Your search results are displayed in this default list. Quickly navigate to any sheep on this list using the green magnifying glass button. 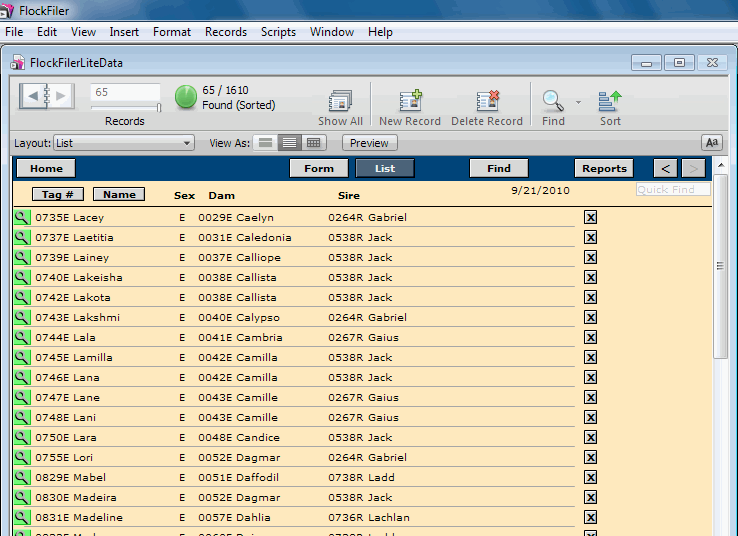 Any of the lists available on the Reports – Choose List Format screen can be used instead of this list format. Most of the List formats contain the "Quick Find" box at the upper right corner. Just start typing into the Quick Find box to locate a sheep.